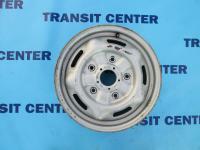 Ford Transit MK7 wheels and rims, these are parts for Ford Transit 2007 - 2013 like hub cup and wheel nut. Ford Transit MK7 wheels and rims, these are parts for Ford Transit 2007 - 2013 like hub cup and wheel nut. 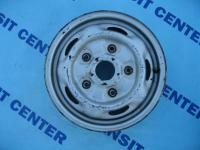 What is more this department includes elements like the wheels, the hubcaps and the wheel nut. It is worth to mention about successes of this famous type of van. Only a year after debut, exactly in 2007, Ford Transit had once again won the prestigious title ‘Van of the Year’. Of course, the choice of drive unit at the beginning was huge and included, a.o. items such as 2.2 and 2.4 TDCi. However, we are focusing on something other. In our offer is possible to find the most important elements of drive unit. These include such a small item, like a screw, and the primarily corresponding for aesthetics - a lid. 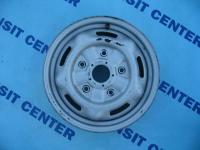 Those are also the several sizes of steel wheels and practical cover for the wheel nut. When it comes to the kind of rim, in vans the best solution are of course the steel wheel. They are durable and in the case of small damage – are prone to repair. Can be worse with the aluminum equivalents, because under the heavy load, eg. 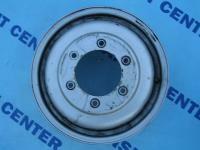 after hitting the curb, they usually brake and are not suitable to repair. There is a possibility to order product, which are currently missing – we honestly encourage to contact with us by e-mail.